Litigation is the process of taking legal action or filing a lawsuit to protect your legal rights. When a group long term disability (LTD) insurance policy is governed by ERISA law, one of the questions we are asked most is “When can I sue for a denied claim?” In an ERISA disability claim a lawsuit cannot be filed until all of the claimant’s administrative remedies have been exhausted. Most LTD policies governed by ERISA require at least one appeal directly with the insurance company or plan administrator before a lawsuit can be filed. Is an ERISA Claim in Federal Court or State Court? Unlike an individual disability policy which is governed by state law, federal courts have jurisdiction over all ERISA long-term disability cases. Policyholders whose benefits have been denied or terminated do not have the right to a jury trial in ERISA cases. The federal judge alone will make the decision in an ERISA long-term disability lawsuit. Note: A lawsuit can be extremely time-consuming. That is why it is critical that the disability attorney you choose to represent you does everything possible to resolve your case during the internal administrative appeal process without having to depend on a federal court for a fast resolution of your claim. How Does the Judge Make a Decision? How will the federal judge make a decision about the ERISA lawsuit? There are two standards of review in ERISA cases: (a) the de-novo review standard and (2) the arbitrary and capricious standard (also called the “abuse of discretion” standard). The judge will determine which standard applies to your disability based on the language in the policy itself. Specifically, the parties and the judge will review the LTD policy to determine whether it includes a discretionary clause that allows the insurance company to interpret the policy. De-novo review is a more favorable standard of review to the policyholder. With De-novo review, the judge will independently review the entire administrative record (your entire claim file) and determine whether you are disabled and entitled to benefits under your group disability insurance policy. The abuse of discretion standard, on the other hand, applies where a plan grants the fiduciary discretionary authority to determine eligibility for benefits. The abuse of discretion standard, in essence, requires that the judge determine that the insurance company’s denial of benefits was wrong and that the insurance company’s decision was “arbitrary and capricious”. Essentially, in order to reverse a disability denial the Judge must find that the insurance company acted unreasonably and that there was no rational basis for the insurance company’s decision. Note: Multiple states have sought to ban the use of discretionary clauses in disability policies. Unfortunately, most long-term disability ERISA policies provided by employers contain discretionary clauses. That means that the abuse of discretion standard is commonly applied by federal courts throughout Florida and the rest of the country. 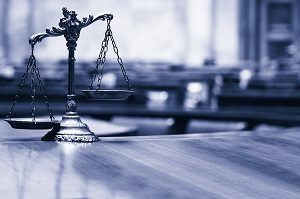 There are numerous differences between a lawsuit filed in connection with an ERISA LTD plan versus an individual disability income policy. With an individual policy, the claimant is entitled to jury trial in state court. However, an ERISA claimant is not entitled to a jury trial. An ERISA disability lawsuit will be decided by a federal judge. In most cases the decision is made after the parties have filed written briefs in support of cross motions for summary judgment. Another disadvantage to ERISA lawsuits is that it is difficult to receive an award of attorney fees for the winning party in an ERISA disability case in most federal circuits. Moreover, in a lawsuit in state court for the wrongful denial of benefits under an individual disability policy, the claimant may be able to seek extra-contractual damages such for the insurance company’s bad faith. Unfortunately, ERISA regulations do not allow any claims for bad faith or punitive damages for an insurance company’s wrongful denial of long-term disability benefits in a group plan ERISA claim. If the federal court rules in favor of the claimant in a federal ERISA lawsuit, the disability insurance company’s only potential damages is payment of the claimant’s past due benefits and possibly interest and attorney fees. Florida disability attorney Nick A. Ortiz has litigated numerous ERISA long-term disability denials and is available for free consultations to discuss your options if your LTD claim has been wrongfully denied or terminated. Call us today at 850-30-7833. Mr. Ortiz may give you guidance as to whether an ERISA long-term disability lawsuit is appropriate in your case.